Diane Tusek, President, CEO Health, Wellness & Healing, Inc.
Honored for her exemplary impact in healthcare. Diane L. Tusek, R.N., B.S.N., President, CEO, Health & Wellness, Inc. and President, CEO of Guided Imagery Inc., are organizations that promote health, wellness, inner strength and hope. Diane’s is considered the pioneer and leader in the field of Integrative Medicine which incorporates the mind, body and spiritual connection. 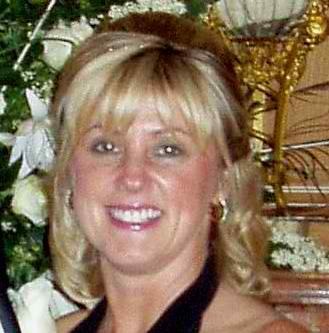 Diane founded Guided Imagery, Inc. in 1996 following a distinguished career in healthcare at The Cleveland Clinic. She consults at Mayo Clinic, Yale, Dartmouth, Columbia, Scripps, Alberta Health, John Hopkins among others. Guided Imagery, Inc. under the astute guidance of Diane Tusek has earned international acclaim and richly deserved global recognition. Her expertise in research, medicine and psychology was the catalyst to her philosophy of life style balance and her unique brand of therapy has made a tremendous impact in the areas of stress reduction and palliative care. 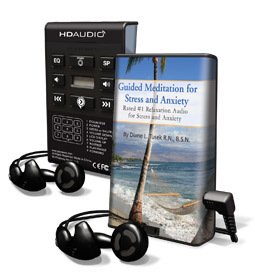 Diane’s Guided Imagery CD’s are used for anxiety management and pain reduction in more than six thousand healthcare facilities, corporations, schools, wellness centers and more. Additionally, the National Center for Learning Disabilities utilizes Diane’s Guided Imagery program to treat people who have ADD, ADHD, Dyslexia and Bi-polar Disease. Diane Tusek’s relaxation, stress and sleep products are used nationally in A.A. and N.A. programs to help with recovery for addictions. Adding to this list of impressive and noteworthy achievements, Diane is also the published author of numerous medical journals and has been featured in such esteemed publications as USA Today, Prevention, Psychology Today, Women’s Health, Consumer Medical Reports and the New York Times. She routinely lectures to schools, health care institutions and corporate audiences and her work has appeared on ABC, NBC, The Today Show and CNN. Diane’s soothing voice and comforting words “…You are not alone. I am here to help…” has touched close to 1 million lives. She is recognized as one of the world’s most genuine, down to earth, grounded, and compelling experts in her field. Diane has 30 years of clinical expertise in the integration of Science, Medicine, Psychology, Research, and the Power of the Mind in an attempt towards “Life Balance”. • The National Association for Home Care and Hospices. • Findaway World – Playaway audio devices – Catalist National Program and more …. She has made appearances on the Good Morning America show on ABC, The Today Show on NBC, and CNN. • 1982: Nurse Clinician – Department of Colorectal Surgery. • What’s holding you back? • The Power of the Mind: Take Charge in Your Life! • Stopping Stress before it Stops You!